What happens when things don't go as planned? What happens when the storm you face is completely out of your control? The Buchanans' precious son Christian was born with a medical condition that is so incredibly unique, it's one of only fifty known cases in the world. This story has captured the hearts of hundreds of thousands. 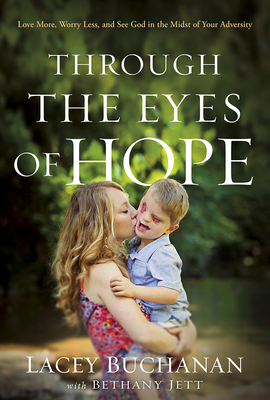 In Through the Eyes of Hope Lacey Buchanan tells this compelling story of trusting God in the face of adversity. You will be moved and inspired to hold on to God's promises when things go wrong and find joy in midst of any storm. Lacey Buchanan is a native of Middle Tennessee who is enjoying raising two rambunctious boys, Christian and Chandler, with her husband, Chris. She recently earned her Juris Doctorate from Nashville School of Law. She has traveled the country for the last four years, sharing her family's story and spreading a message of hope in God. She is an avid runner, a lover of books, and a follower of Christ, and she plans to use her education to practice in the areas of disability advocacy and education.